A condolence meeting in remembrance of Justice Rajinder Sachar, former chief justice, Delhi and Punjab High Court, and chairman of the Sachar Committee; Maulana Mohammad Salim Qasmi, rector, Darul Uloom Deoband (Waqf); Maulana Abdul Wahab Khilji, founder member, All India Milli Council and former Secretary General, Markazi Jamiat Ahle Hadis, and Salar M. Khan, advocate, member, General Assembly, IOS and former editor IOS Human Rights Today, who died recently, was jointly organised by the Institute of Objective Studies and All India Milli Council on May 4, 2018 at the conference hall of FTK-CIT auditorium, Jamia Millia Islamia, New Delhi. 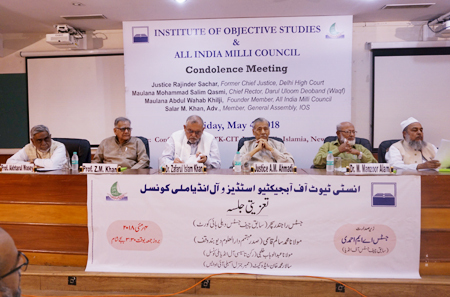 Former chief justice of India, Justice A M Ahmadi, who presided over the condolence meeting, said that all the four personalities carved out a name for themselves in their fields. He called for imbibing their spirit. 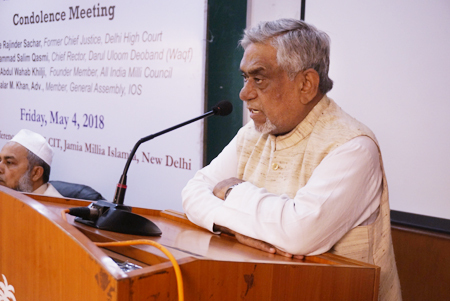 Referring to Justice Rajinder Sachar, he said that by writing the Sachar Report, he brought to light the backwardness of Muslims economically, socially and educationally. Taking a cue from the report, more attention to educational backwardness of the community should be paid as this was the key to success. 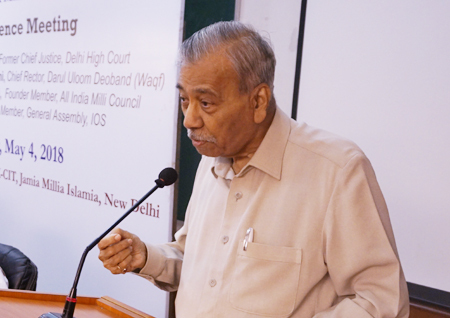 Paying rich tribute to Justice Sachar, the chairman, IOS, Dr. Mohammad Manzoor Alam recalled his close association with the Institute. Referring to the late Maulana Abdul Wahab Khilji, he said that the maulana was a selfless Islamic theologian who had deep concern for the Ummah. About Salar M. Khan, he said that besides being a senior lawyer, he had a multi-dimensional personality. 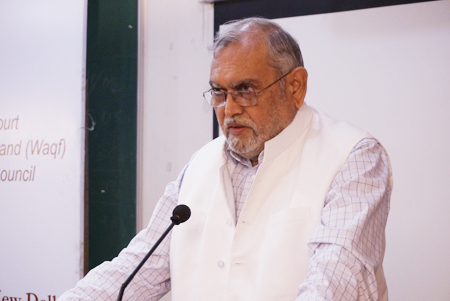 He always left a lasting impact of his capabilities wherever he worked, Dr. Alam said. 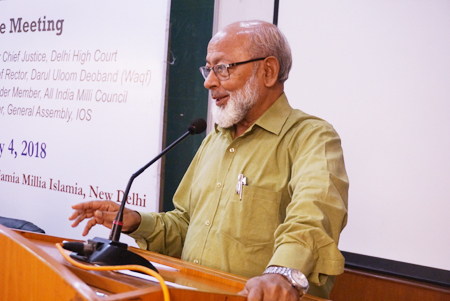 The chairman, Delhi Minorities Commission, Dr. Zafarul Islam Khan, said that Maulana Mohammad Salim Qasmi was a significant Islamic theologian in his own right. His qualities were diverse. Lauding the services of Maulana Abdul Wahab Khilji, he said that he was far-sighted and open-hearted. 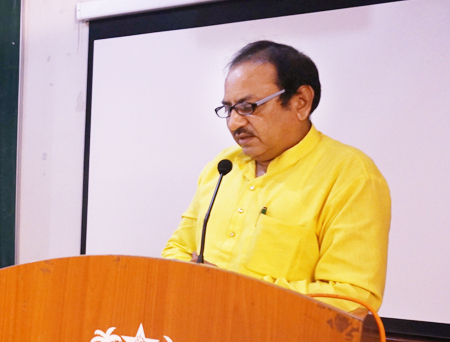 The vice-chancellor, Maulana Azad University, Jodhpur (Rajasthan), Prof. Akhtarul Wasey, observed that the death of all the four had caused a great loss to the community. All the departed souls would always remain alive on account of their services. The nazim of Imarat-e-Shariah, Maulana Aneesur Rehman Qasmi said that he had been associated with different organisations, but he never came across any person who could speak ill about Maulana Mohammad Salim Qasmi. The maulana was a broad-minded aalim and commanded respect among all schools of Islamic thought. 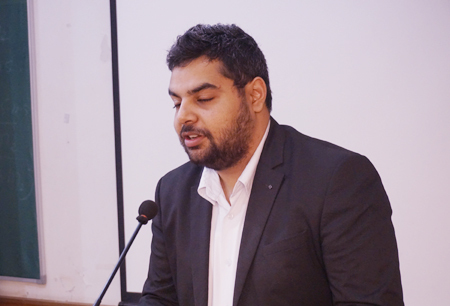 The grandson of the late Justice Sachar, Akshay Bhandari informed the audience that Justice Sachar was deeply concerned about the prevailing situation in the country. He always stood for the good of the people and was never found wanting in helping people in distress. 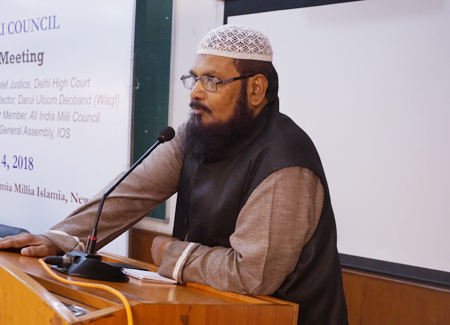 General Secretary, All India Muslim Majlis-i-Mushawarat, Maulana Abdul Hameed Nomani, held that great men always remained alive in people’s memories due to their good deeds. Maulana Mohammad Salim Qasmi was one such scholar of eminence who would continue to make his presence felt through his work. Expressing deep grief over the death of her father, the daughter of Maulana Abdul Wahab Khilji, Dr. Ayesha Siddiqui said that he was very kind and simple in his personal life. He was always willing to help people. 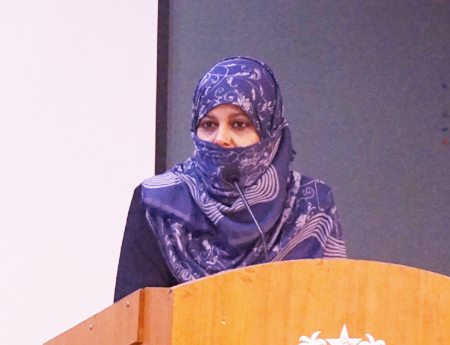 The daughter of advocate Salar Mohammad Khan, Aliya Salar, while mourning her father, said that, being a man of high moral character he loved everyone who came into contact with him. 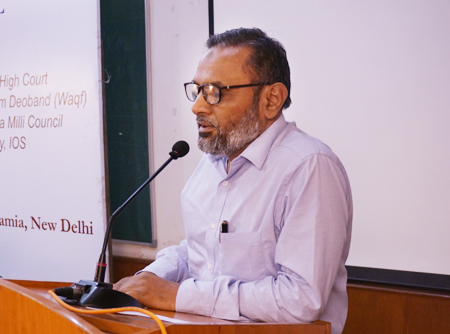 Paying glowing tributes to the four public figures, Dr. Qasim Rasool Ilyas especially referred to advocate Salar M. Khan and said that had he chosen journalism as a profession, instead of being a lawyer, he would have attained a higher position. 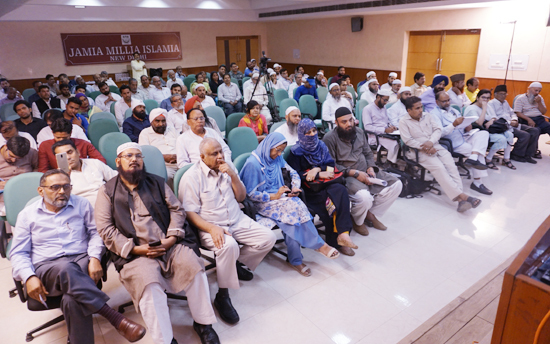 Prof. Khwaja Abdul Muntaquim, Maulana Abdullah Tariq, Dr. Shes Timi, the son of Maulana Khilji, Mohammad, and Sardar Chhajjanji also expressed their views. Earlier, the meeting began with the recitation of a Quranic verse by Hafiz Athar Husain Nadwi. 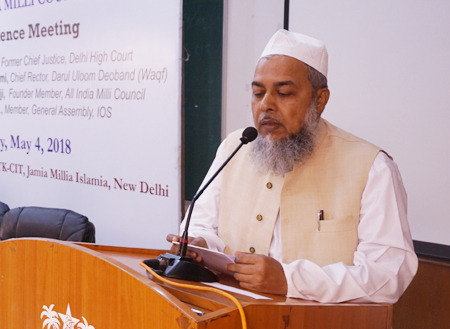 While the proceedings of the meeting were conducted by Dr. Nakhat Husain Nadwi, a vote of thank was extended by Dr. Parvez Miyan, president of All India Milli Council, Delhi unit.